German operator Deutsche Telekom has signed a European partnership deal with payment provider MasterCard to enable consumers to use their mobile phones as an electronic wallet. The two firms will initiate a trial with NFC sticker tags and cards in Poland and Germany this year, with a SIM-based mobile wallet service to be launched in the first half of next year. The m-wallet will also be open to other issuing banks and partners. Deutsche Telekom will issue the MasterCard products via its subsidiary company ClickandBuy, the owner of an e-money licence, and the firms said that further products will also be launched in other European markets. Ann Cairns, president for international markets at MasterCard Worldwide, spoke of MasterCard’s focus on facilitating mobile payments, recognising it to be an important channel for the future growth of the firm. “The payment space continues to be ripe for innovation, particularly at a time when we’re seeing an accelerating movement away from cash – driven by technology,” she said. Cairns said that MasterCard has long been an advocate of open technology,, which is why yhe mobile wallet service is open to other issuing banks and partners. Eden Zoller, principal analyst at Ovum, explained that the drive behind Deutsche Telekom’s mobile payments strategy is to create a comprehensive framework that will address many of the challenges in what is currently an incomplete ecosystem. However, she warned that the operator’s strategy is very broad and said that it may be challenging to execute its vision well in so many different areas and across the different geographies that it operates in. Zoller added that they also see challenges with Deutsche Telekom’s business model, which is based on a share of transactions and rental fees. “We expect this to be tested by alternative models based on advertising with free services to consumers and merchants,” she concluded. 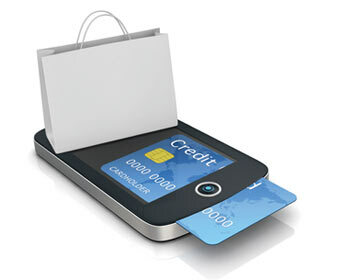 Is mobile payment going too far when cash has become unacceptable?